The principal of Robert Gordon University (RGU) in Aberdeen did not declare a business link to a man who was appointed as a vice-principal, an investigation has found. However the inquiry found no evidence that RGU's principal Ferdinand Von Prondzynski tried to deliberately conceal anything. The inquiry was launched in May after Gordon McConnell was appointed. The inquiry confirmed the two men were co-directors of a company. 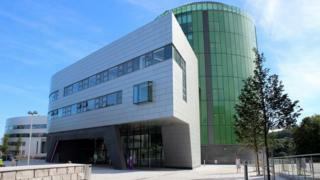 The panel of RGU's board of governors said Mr McConnell was appointed entirely on merit. The investigation concluded Prof von Prondzynski and Prof McConnell failed to declare that they were company co-directors, but it was a "genuine omission" and it was "not intentional in nature". It said the fact they had a close professional relationship, having previously worked together at Dublin City University, was openly disclosed. The university said the two men acknowledged their error and expressed regret. University and College Union (UCU) Scotland official Mary Senior said: "It's important that universities operate with the highest levels of openness and transparency at the top, so it's disappointing that this situation arose."